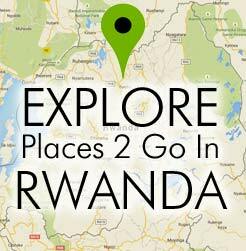 By far, the main reason travelers come to Rwanda is to track the wild, majestic Silverback Gorilla and witness it chomping on leaves and bamboo in its unadulterated natural environment of mist-covered bamboo forests. Accompanied by a guide, trackers hike into the rain forests of Central Africa. It’s not an easy trek, often involving climbing and scrambling up steep, muddy hillsides cloaked with dense, sometimes not-so-friendly vegetation. The hike can take anywhere from one to four hours, and sometimes going to altitudes as high as 3000 m, though the most accessible groups of gorillas are accessible by even moderately fit adults. It’s an adventure of a lifetime worth the effort. Once the group of Gorillas is found, visitors are allowed one hour to observe these massive though gentle creatures. Often, the visitors are observed just as much by the curious bunch that is quite habituated to the human visits, though still intrigued. While the guides have a rule that visitors must not go closer than five meters to the Gorillas, the gorillas are the ones to often break it. NOTE: You must be 15 years old (minimum) in order to trek. Click here for brief descriptions of each Gorilla family group. Note: the park authority makes gorilla family assignments the morning of your trek. Effective Saturday, May 6, 2017, the Rwandan Government increased Gorilla Permits to $1,500.00 USD per person. 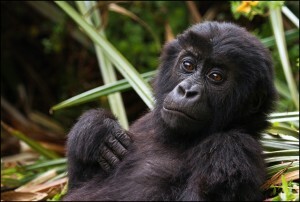 All previously purchased Gorilla Permits are not impacted by this increase.